Mobile Technologies are ever increasing; with each day we cross older boundaries and the use of mobile phones have increased more than ever. In this age of mobile revolution, it is extremely important to stay in touch with technology at all times. Bulk SMS is one of the fastest ways for conveying information within groups to several members, just within seconds. Send bulk SMS at the most affordable prices with the fastest messaging service at www.b-infovision.com. One of the major things that define marketing is communication and Bulk SMS enables you to communicate to a large mass of people through one platform. Bulk SMS has been a revolutionary concept in the good part of the last decade with a lot of small-scaled to larger companies opting to use it for various purposes. Bulk SMS can be used to provide information or policy changes to your customer base or you can use them to promote your business to theoretically everyone with a phone! You could also use our services to send reminders and booking confirmations. The uses of this service are infinite. 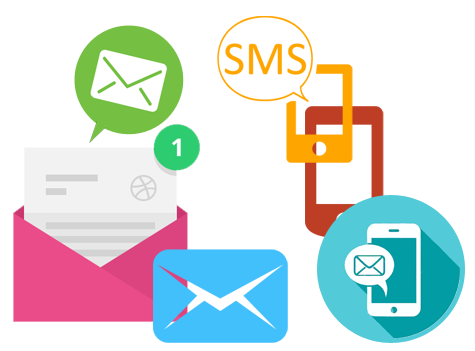 We at B-Info Vision provide best Bulk SMS services like Promotional SMS, Transactional SMS, OTP SMS or Promotional SMS with without revealing the sender ID. We have 4 flexible options that you can choose. These options are carefully drafted to meet your requirements and all of them can be set-up on the same day as placing the order. Contact us to know more. - 24x7 Support with chat, voice call and E-mail Ticketing support available.